Welcome to the first post on Serious Crust! Tonight, I got home from work and after about an hour of lazing around the apartment, Jonah and I realized it was probably time to figure out what we were going to make for dinner. We had done a lot of cooking yesterday evening (recipes coming soon), and so were a little burnt out; We needed something easy and delicious. 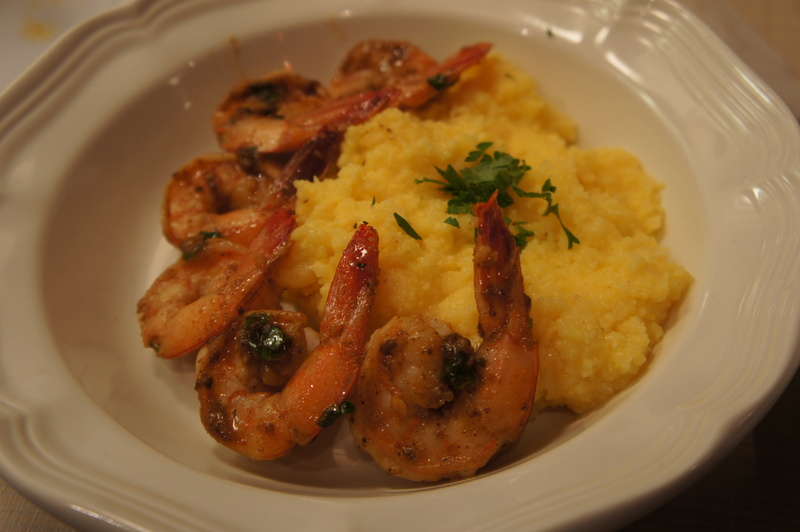 Enter Lemon-Garlic Shrimp and Creamy Polenta: I handled the shrimp while Jonah did the polenta. I would say it took us between 20-30 minutes, and it tasted so good. Season shrimp with a little salt and pepper. Melt butter in a pan over medium-high heat. Add shrimp, garlic, and chili powder. Cook until shrimp are pink on both sides, about 4 minutes. Don’t overcook them! They can get dry really quickly, so keep an eye on them. When they’re cooked right they’re really juicy and tender instead of chewy. When the shrimp are cooked, put them on a plate to the side. Turn heat down to low, add lemon juice, parsley, and a tablespoon of water and stir. 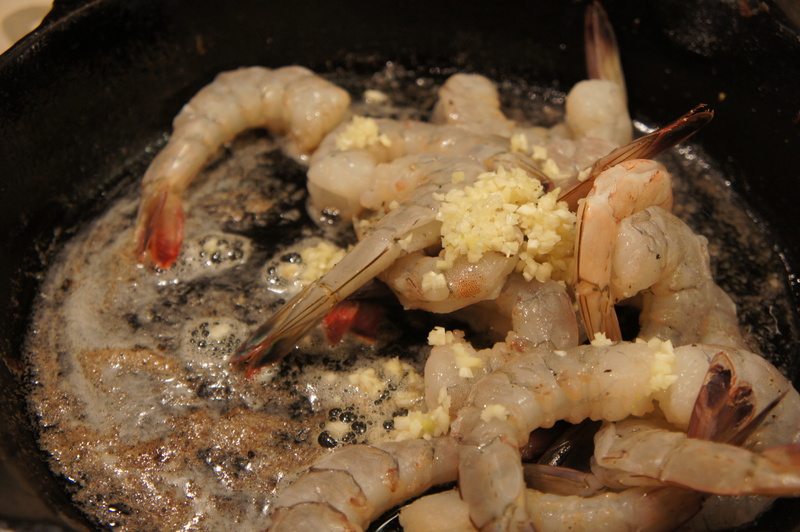 Add shrimp back into the pan to coat it in the sauce. Put polenta in a pot, cook on medium heat. Add other ingredients until you like the consistency and flavor. Easy, no?